Recent studies indicate that neutrophils are heterogeneous and may have an immunosuppressive role in addition to their well-known phagocytic and bactericidal function. 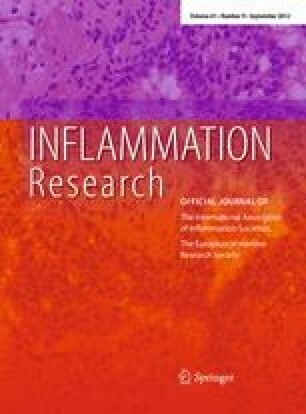 This study examined neutrophil subpopulations in the circulation, peritoneum, spleen and bone marrow from mice at various time points after induction of acute inflammation. Female C57BL/6 mice were injected intraperitoneally with lipopolysaccharide (LPS). Blood, peritoneal, spleen and bone marrow cells were collected and counted and expression of surface molecules and chemokine receptors analyzed with flow cytometry. Chemokine and cytokine concentrations in serum and peritoneal fluid were determined by ELISA. Neutrophil numbers in the circulation decreased following administration of LPS but reached similar numbers to those prior to inflammation at 8 h. At that time point, two distinct neutrophil populations were present in the circulation. These two neutrophil populations differed in size, granularity and expression of CD11b and Ly6G. Few neutrophils were recruited into the peritoneum until 24 h after administration of LPS at a time when the neutrophils in the circulation had increased their expression of the chemokine receptor CXCR2. Induction of acute inflammation leads to the appearance of two circulating neutrophil subpopulations, which may differ in their activation state and function. The authors would like to thank Dr. M. Mack for providing an antibody against CCR2 for this study. This project was supported by grants from the Icelandic Research Fund and the University of Iceland Research Fund.